← Are all Omega-3s Created Equal? A private non-profit, the PAL organization has operated most of its 30 years using a network of volunteer foster families. Now, however, they are slowly transferring to the nearly completed construction of their first facility, the PAL’s Adoption Center. Aside from their caring rescues, PAL takes as their mission to be the voice for animals in need through the active promotion of long-term pet adoptions, educating the populace about the humane treatment of all animals and working to end pet overpopulation through low cost spay/neuter services. 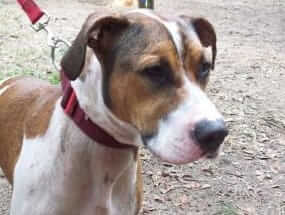 The folks at PAL feel strongly that rescues shouldn’t be confined to crates 24 hours a day. They are working to create a communal feeling among the pets, helping to relieve the stress of their abandonment and to socialize them to adapt to multi-pet families later in life. During the day, dogs will be free to roam with their canine peers in a collective play area (with constant supervision, of course). And cats will share a common area, too (but not with the dogs!). At PAL’s place, prospective pet parents will be able to view the dogs and cats interacting, which aids them in their decision about who they want to adopt. Just as the PAL folks have instituted a higher standard for their care, they also thoroughly pre-screen all of the adoptive pet parents, too, as this allows for a better chance of a great placement. If, for any reason, an adoption doesn’t work out, the standard adoption contract requires that the animal be returned to PAL. Setting an example through their comprehensive-planning and bold leadership, PAL envisions a time in the not-too-distant future where all animals are treated humanely, where all pets live in loving, responsibly-minded households and where euthanasia is no longer the default position on population control. According to the group, their goal is to “build a community where no animal is left behind”. Since 2002, with the help of a team of generous volunteers, PAL has fostered and adopted out over 5,000 cats and dogs. 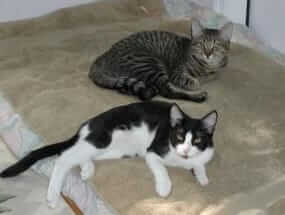 Here’s Chettah and Tucker, two young males looking for a home. Thanks to our readers, supporters and customer purchases, The Dr. Jane’s HealthyPetNet Foundation was able to donate funds to help with the construction of the PAL Adoption Center, a 7,700 square-foot building. Our financial grant will help to provide clean water and multiple dog kennels for night-time care. If you wish to send additional support to our foundation, you may do so when placing an order online or by sending a personal check to The Dr. Jane’s HealthyPetNet Foundation, Inc. at P.O. Box 1425, Palm City, FL 34991. Even if you can only spare a dollar or two, you’ll be providing much needed aid to the organizations attempting to reverse the trend the abandonment in America. From all of us here at Life's Abundance, we honor the fine work of this tireless organization. Kudos to you, PAL (www.palmettoanimalleague.org), for doing your utmost to make the world a better place for companion animals! PAL sounds like a wonderful organization. I'm glad our Trilogy purchases help organizations like PAL do this much-needed work. I live in Bluffton and am familar with the great work being done by PAL. We can hardly wait for the new bldg. to be finished ( as funds permit)for we have so many pets in foster care. I am so proud to be a Trilogy/HPN representative . . .and a friend of Dr. Jane Bicks who continues to do so much for the benefit of our furry four-legged friends! Wow, PAL is doing a remarkable job of placing dogs and cats in worthy homes. I am so proud to be part of this fine business that represents this wonderful foundation. Dr. Jane is doing a great job and I'm sure that are many more worthy rescue groups out there to help out. Congratulations to PAL for fostering and adopting out over 5,000 dogs and cats! We are proud to be representatives of HealthyPetNet and spread the word about Dr Jane's Foundation.